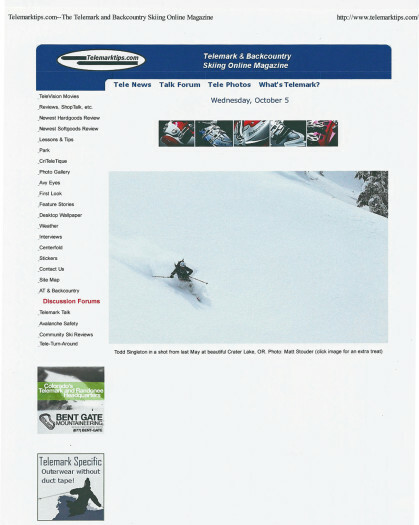 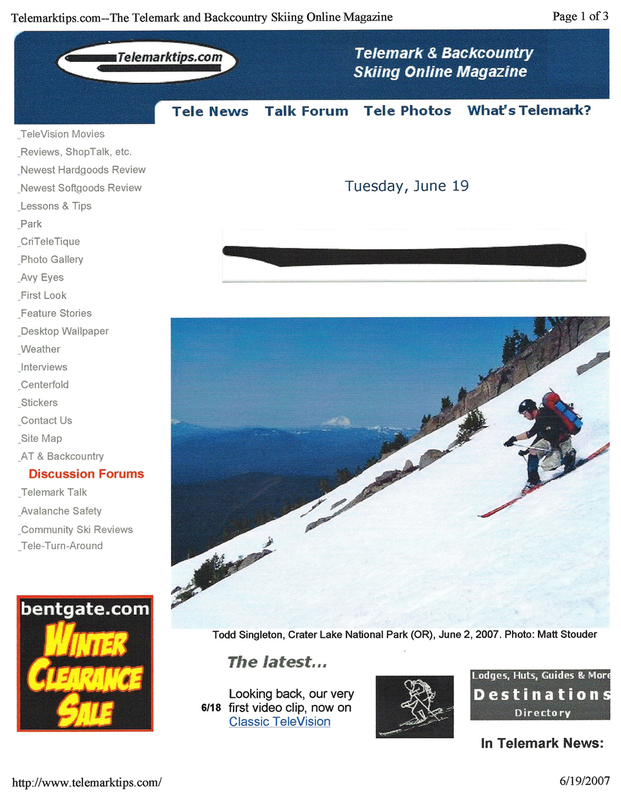 In July of 2007, a trip to Mt Hood’s Crater Rock area in search of summer turns yielded a nice corn harvest, and also resulted in the below shot of Todd that landed on the home page of Telemark Tips…. In 2010, an early October storm dumped two and a half feet of fresh snow in the Oregon Cascades. 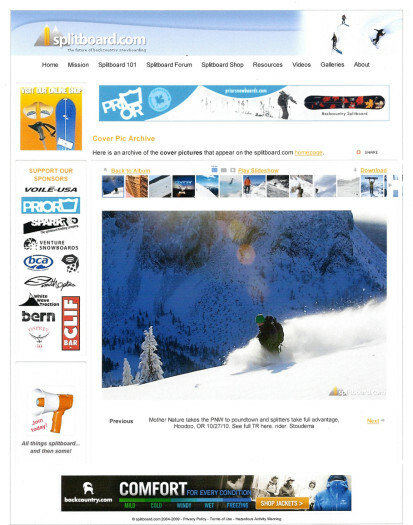 Todd and I were able to take advantage by leaving super early in the morning to get in a dawn patrol at Hoodoo, which resulted in some of the best early season powder of my life. 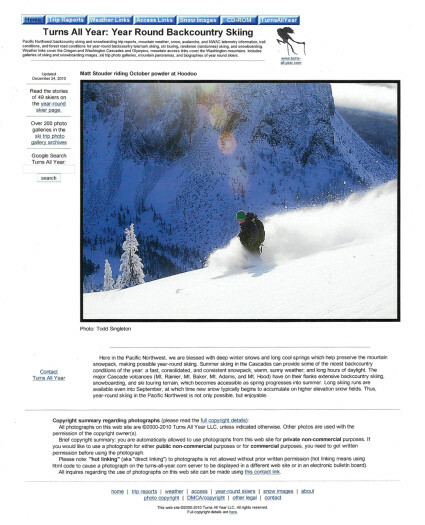 The lighting was really nice, and the trip resulted in a shot of me taken by Todd that landed on the front page of Splitboard.com and Turns-All-Year. 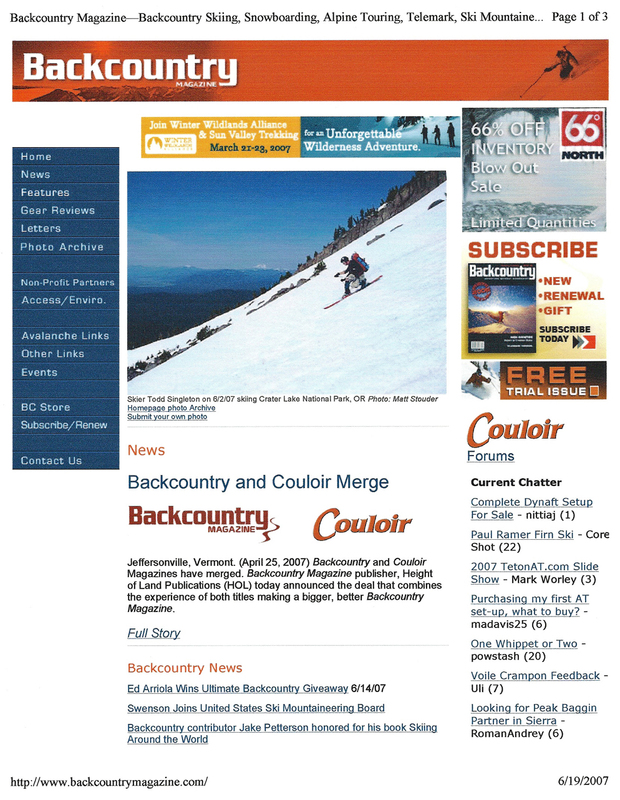 A June 2012 trip to the South Sister produced excellent corn snow and memories that I’ll have with me forever. 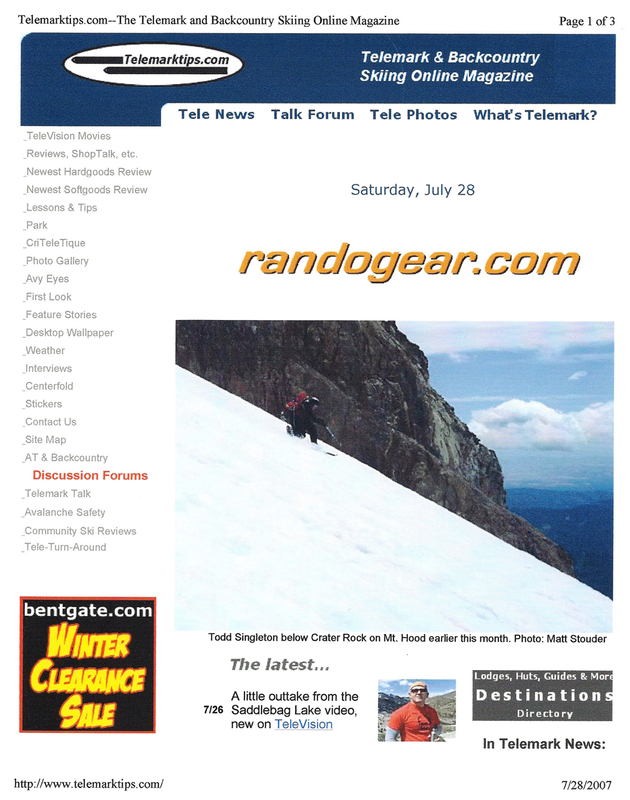 A shot I took of Todd on this trip making a nice tele-turn with Broken Top in the background landed on the homepage of Telemark Tips. 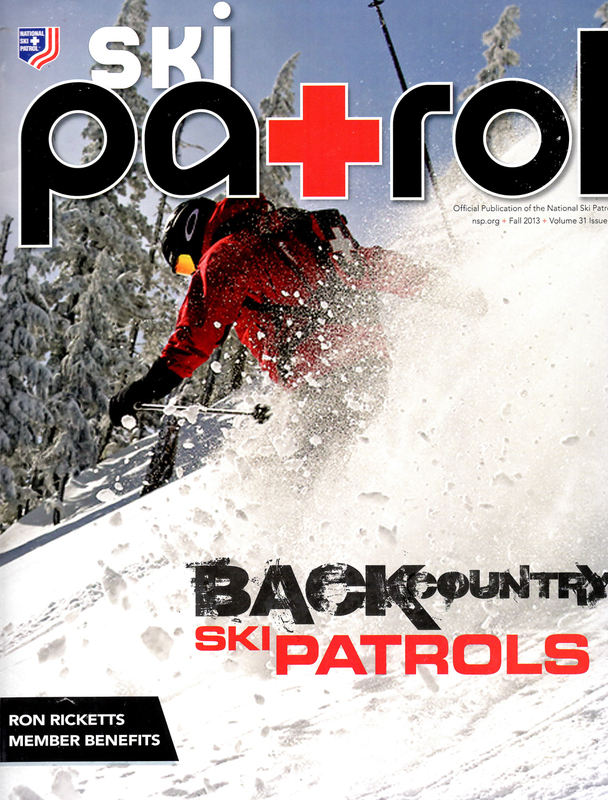 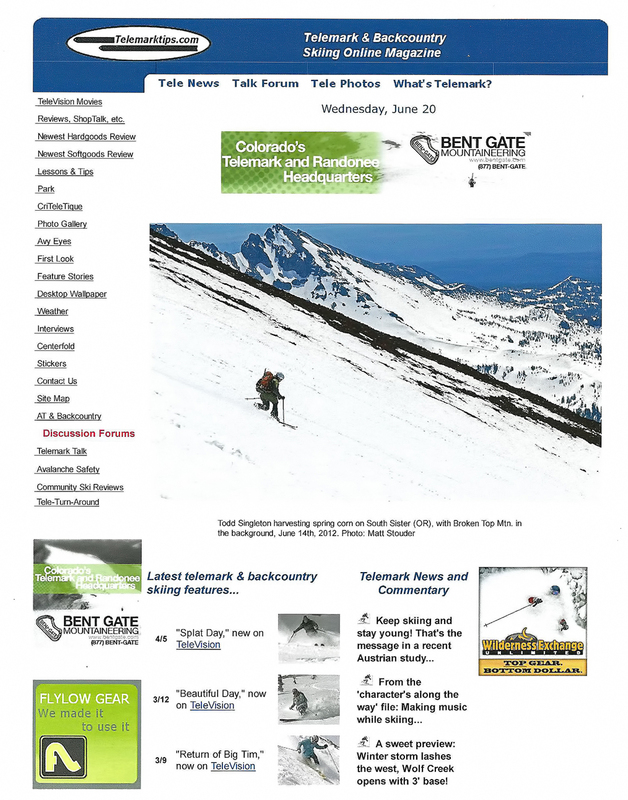 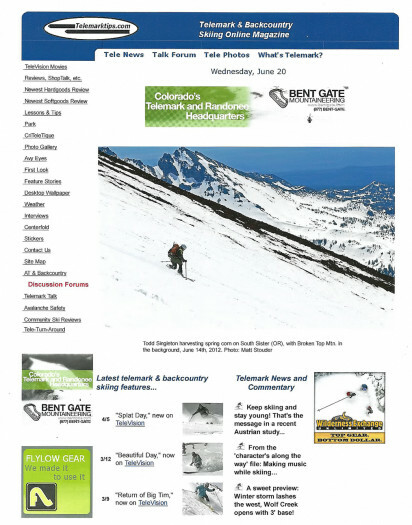 In May 2013, after submitting a few photos to the National Ski Patrol for a photo contest, I was surprised when I opened my mailbox and found the May issue of Ski Patrol Magazine with a photo I took of my friend Raleigh Taylor on the front cover. I was pretty stoked, and the photo ended up landing me a new Go Pro and backpack.